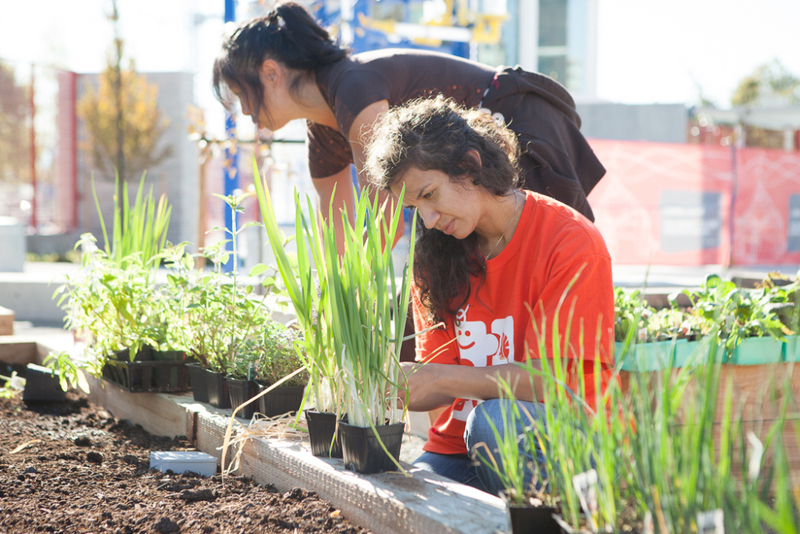 As part of a permanent interactive exhibit on the science of sustainability and food security, Projects in Place teamed up with Science World and ING DIRECT to add even more green space to the new Ken Spencer Science Park. 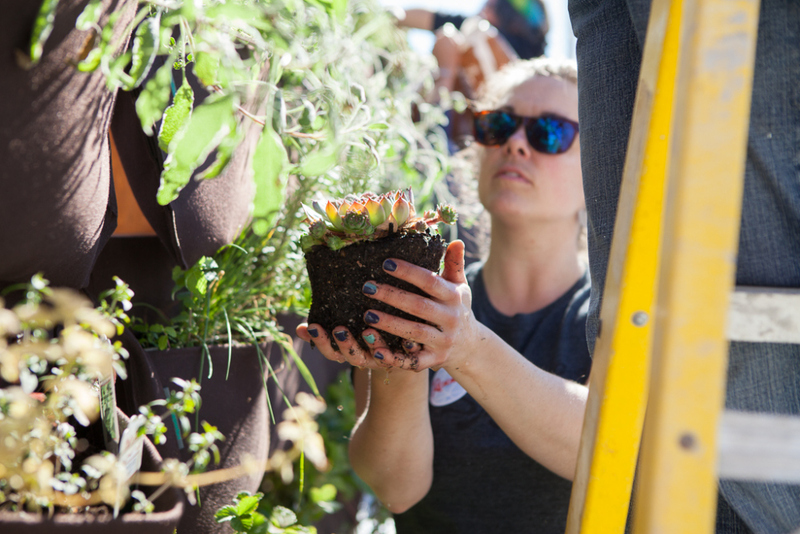 Projects in Place recruited more than 50 volunteers of all ages and backgrounds to contribute to building a showcase of traditional and higher-tech food growing systems. 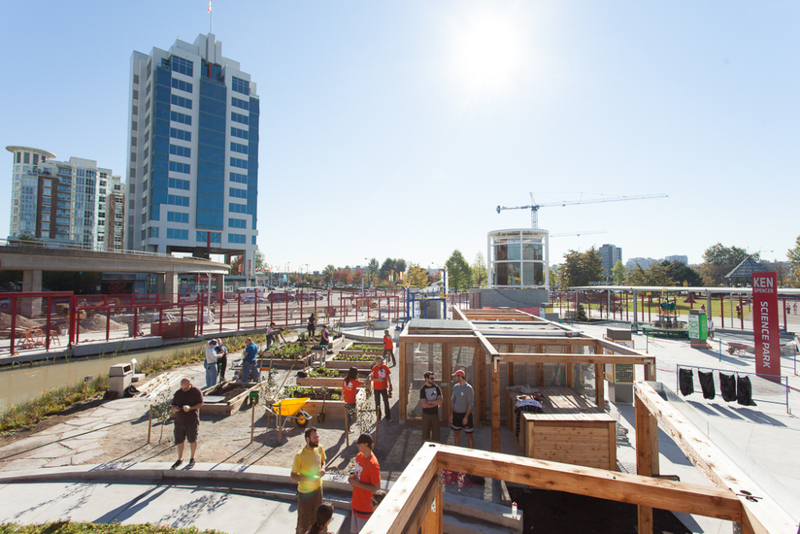 “Living in an urban environment, many people, particularly children, aren’t aware of how the food they eat gets from the ground to their table,” says Bryce Gauthier, co-founder and director of the Projects in Place Society. 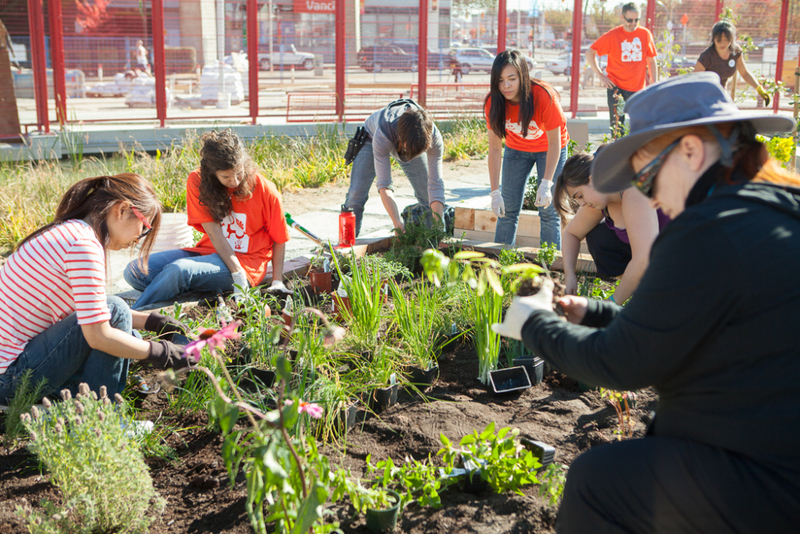 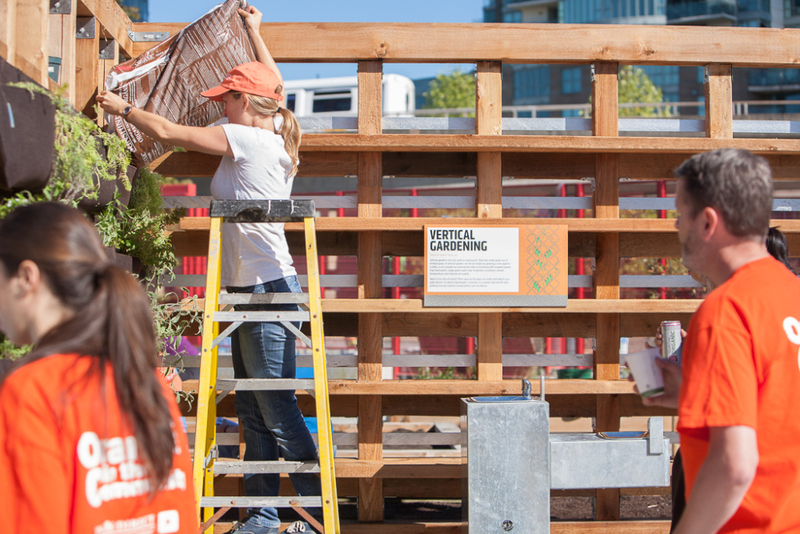 “Science World is an iconic organization and attraction in Vancouver and with this outdoor sustainability experience we can really get Vancouverites and other Canadians enthusiastic about growing food locally.” - Paul Sluimers, ING Direct. 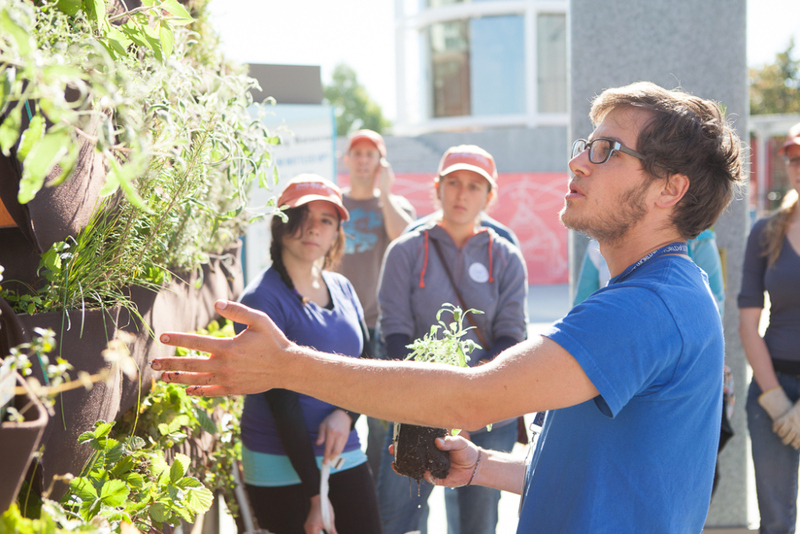 In addition to the exhibits designed to engage and stimulate participants, the park offers educational programming for school and public visitors in an outdoor classroom setting. 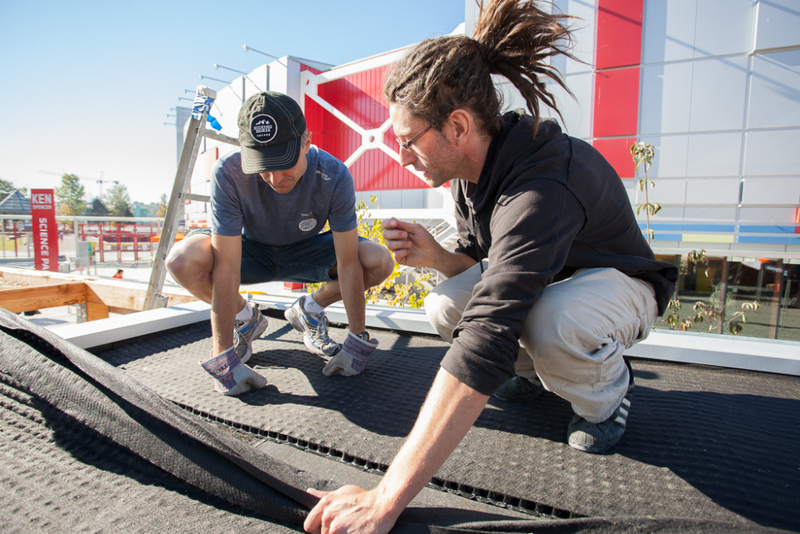 "Their passion and enthusiasm around helping us achieve our goals for a comprehensive outdoor education space was outstanding."